It's back-to-school season and you can continue your education too with some amazing and free online resources available from top universities. These institutions offer many of their courses in the form of video lectures, audio transcripts and online quizzes. And, some universities give you access to the professor and let you interact with other students taking the class. 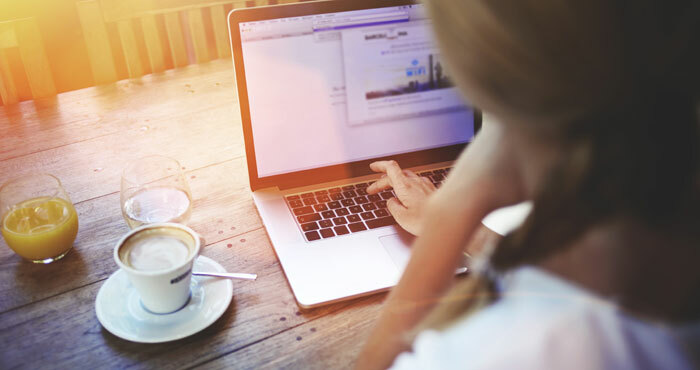 Want to give these free online courses a try? Here are the online education offerings from the top U.S. universities that we think are worth checking out. Stanford University, located in Stanford, California, offers an especially rich bounty of material for its amateur online learners. Classes are offered on multiple platforms, letting you watch videos lectures, participate in discussion forums and chats, complete quizzes and even participate in group projects. 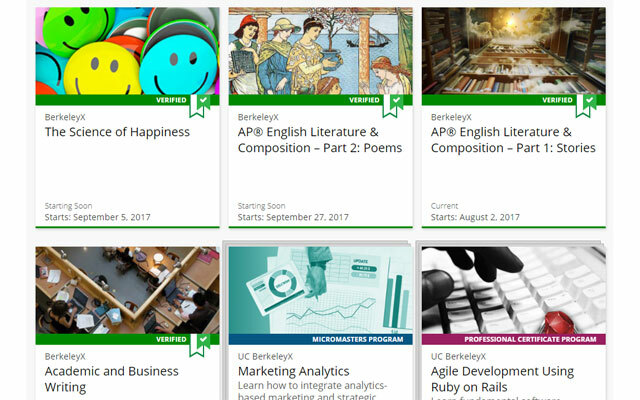 A wide range of courses is available (for free and paid), from Cryptography to Game Theory to Writing in the Sciences. There are courses on stock market investing and running your own business, too – stuff that you can actually use to benefit your family. Self-paced courses are also available, including the popular Computer Science 101. 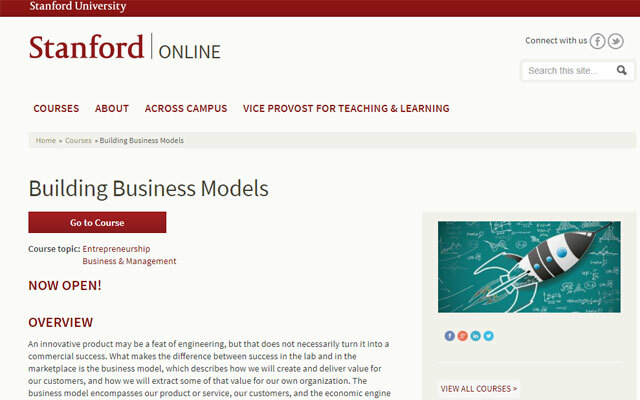 You can check out Stanford’s collection of online courses by visiting online.stanford.edu/courses. The University of California, Berkeley is one of America’s most esteemed public universities. So, as you might expect, its online course catalog is one of the most serious of the bunch. You’ll find multiple webcasts on biology, chemistry, engineering, physics, history, health, political science, sociology and statistics. You won’t be able to take tests or raise your hand in class, but you can audit every lecture in HD on YouTube. UC Berkeley uses the edX learning platform at edx.org/school/uc-berkeleyx. Looking to live out your Good Will Hunting fantasies? Then check out the Massachusetts Institute of Technology’s (MIT) OpenCourseWare system. There, you’ll find video and audio lectures from the top-ranked Engineering school. You’ll also be able to access notes, digital assessments and even free online textbooks. 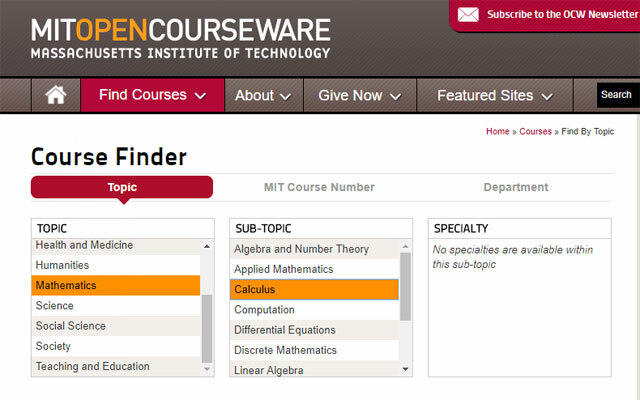 Not every class at MIT offers these materials, but the Course Finder tool will let you easily sort the catalog to find those that do. 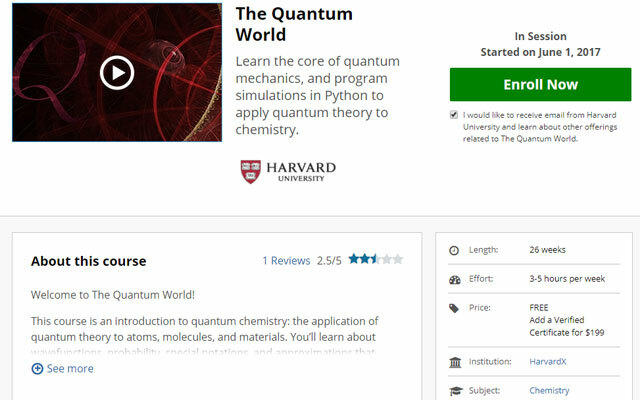 You can view MIT’s searchable wealth of online course materials and lectures at ocw.mit.edu. You can also find a wide range of courses, some in other languages, on edx.org/school/mitx. 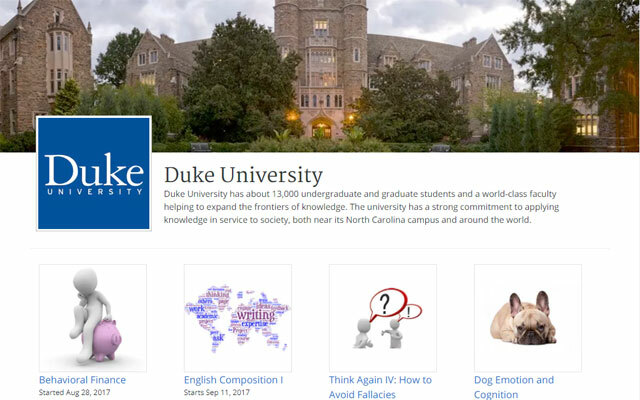 North Carolina’s Duke University offers a number of interactive, free online courses through the Coursera platform. Lectures in subjects like English Composition and Genetics are offered, with videos broken up into easily digestible YouTube clips; some courses offer online assessments as well. Online learners get to interact with other students and teacher via online message boards and discussion groups, furthering your understanding of the material. To take a look at Duke’s free online course offerings and register for classes, visit coursera.org/duke. You can find plenty of other universities and classes available on Coursera as well. 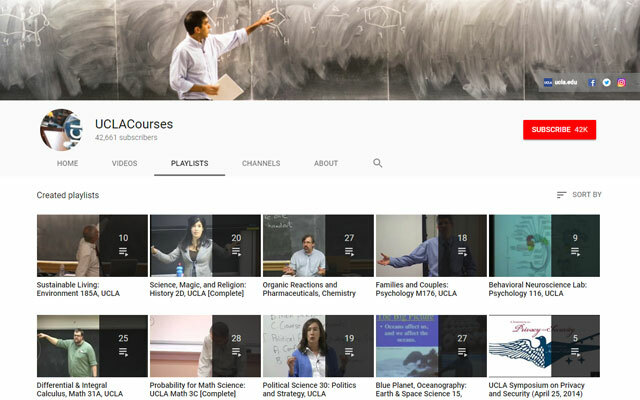 The University of California, Los Angeles, like UC Berkeley, offers a wealth of class experiences for free online on YouTube. Courses are organized into playlists, so you can watch lectures from courses like Sustainable Living, Modern Civilization 1750 – present and Probability for Math Science on your own schedule. You should also keep an eye on the UCLA Extension School, which periodically offers free (albeit brief) online classes complete with discussion boards. 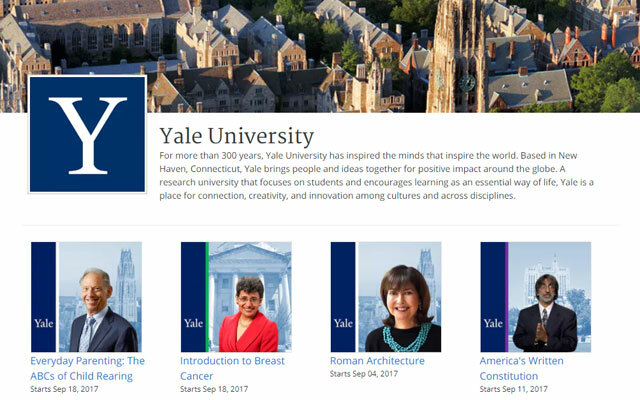 Yale, one of our nation’s oldest institutions of higher learning, offers a limited-albeit-highbrow selection of courses for free online auditing. You can challenge yourself by taking Philosophy and Science of Human Nature, expand your horizons with Listening to Music, or try to get a better understanding of your 401(k) by taking Financial Markets. Courses are available on Coursera, on YouTube and on iTunes through Apple’s iTunes U free learning platform. Pittsburgh’s Carnegie Mellon currently offers 21 open and free courses via its Open Learning Initiative (OLI) platform. You can take science courses like Biochemistry and Modern Biology if that’s your thing, or plan your vacation to Paris while taking Elementary French I and II. OLI makes it easy to track your progress (with sign-in), while “targeted feedback” and online assignments give you an idea of how well you’re absorbing the material. 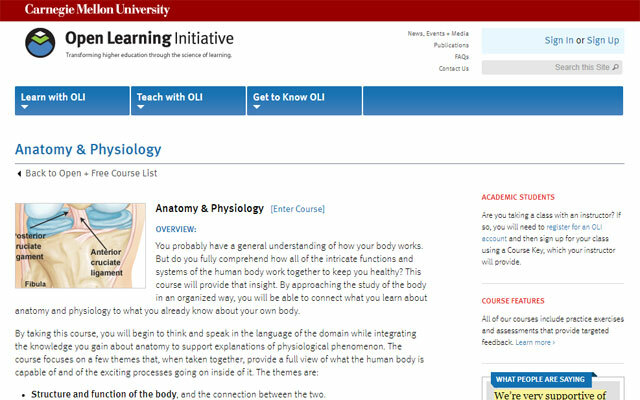 You can browse what Carnegie Mellon’s OLI has to offer at oli.cmu.edu. Okay, so maybe this one isn’t an actual college. Still, if your hunger for knowledge knows no bounds, you’ll definitely need to check out Apple’s iTunes U application. Inside, you’ll be connected to thousands of free course offerings from schools all around the globe. iTunes U offers tools to start discussions and ask questions of teachers and students. And since everything is rated on a 5-star system, you’ll be able to easily hunt down the best courses in the subjects most interesting to you. You can download iTunes U onto your iPhone, iPad or iPod touch through the Apple App Store. Are these essentially just for expanding knowledge, or is there a “real"college credit given? Kindly guide me if I can free or less cost online managerial courses I can partake.